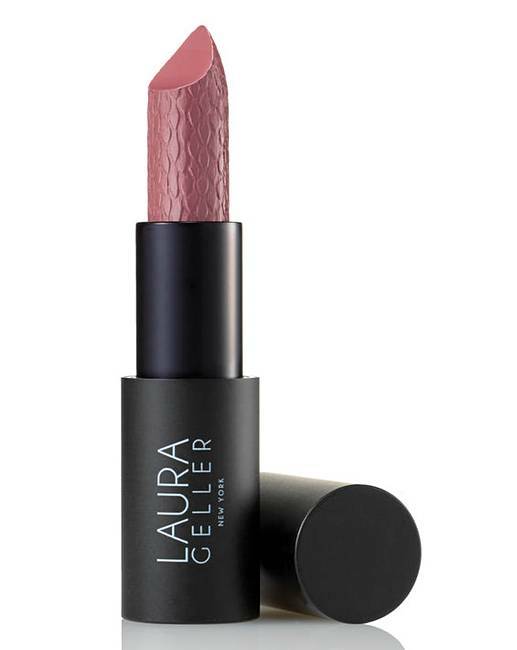 Laura Geller Icon Lipstick. Artisan-baked pigments and rich moisturizers saturate lips with creamy, vibrant colour that feels weightless. A curved bullet shape allows for a single-swipe application providing long-lasting, high impact wear.